Dentures are incredibly useful for replacing missing teeth. With some time and practice, they function as normal teeth and modern versions are incredibly natural-looking and fit very comfortably inside the mouth. Whether you have full or partial dentures, the way they work and the care they need is essentially the same. Conventional Full Denture: This type is used after remaining teeth are removed, and the tissue has been left to heal. This can take several months, and you will be without teeth during this period. Immediate Full Denture: This type can be fitted as soon as remaining teeth are removed. The full denture is based on measurements that your dentist will take in a previous visit. You never have to be without teeth, but you will have to go back to your dentist to have the dentures relined after a couple of months. This is to deal with the gradual loosening that occurs as the bone supporting the teeth changes shape and heals. Partial Denture: This type has denture teeth set in flesh-coloured acrylic resting around natural teeth for stability. You can have partial denture fully made in acrylic or has a metal framework for extra strength. Sometimes crowns are used on the natural tooth to create a stronger anchor. In essence, they are a removable alternative to bridges. It’s normal for dentures to feel strange and even uncomfortable for the first couple of weeks and even months. You’ll need to do a bit of practice with eating and drinking, and they may feel loose and even bulky until your muscles and cheeks get used to holding the dentures in place. Other common problems are excess saliva, a cramped tongue and even a little soreness and irritation. If this becomes unbearable, contact your dentist. Remember, dentures are breakable. If you drop them, they can crack and chip. You need to take extreme care whenever handling them or taking them out of your mouth. So, always have a folded towel or another soft surface underneath you in case you drop them. You should never, ever let your dentures dry out. If you’re not wearing them, they should be in a denture soaking solution or some plain water. Make sure the water or solution isn’t hot as heat can create warping. You need to brush your dentures as you would teeth. They can be subject to food deposits and plaque, so brushing can remove deposits and stop them from being stained. An ultrasonic cleaner can be used in caring for your dentures, but this should be used to complement your daily cleaning routine. It’s a good idea to remove and clean your dentures after eating. In fact, this is one of the advantages of dentures. They are removable so you can give them a full clean every time you eat. You need to check manufacturing instructions before soaking your dentures overnight. Each type will have different instructions as to the kind of solution to use. You need to brush your palate, tongue and gums every morning with a soft-bristled brush before inserting your dentures. This practice stimulates tissue circulation which helps to remove plaque and prevents it from being trapped and causing oral health problems. If your dentures chip, crack, break or feel loose you need to visit your dentist as soon as possible. Don’t try and repair them at home. They are surprisingly complex, and an untrained hand could cause irreparable damage. 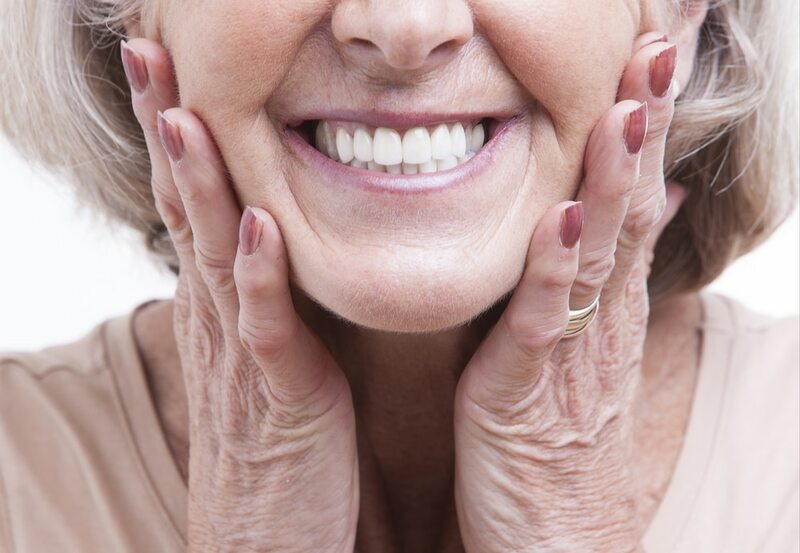 Follow these tips to make your dentures last as long as possible. It’s best to think of your dentures as regular teeth, which means you need to visit your dentist at least twice a year for a check-up. This will allow your dentist to make slight changes and help your investment to last as long as possible. Eventually, your denture will need to be rebased, relined and remade as a result of general wear but with regular check-ups and proper care you can prolong that day for as long as possible.